As you might have heard, we’ve been addressing property crime and robberies in Bernal Heights lately, as burglaries, auto thefts, and thefts-from-autos have been taking a wearisome toll on Bernal neighbors. And sometimes, things get violent. 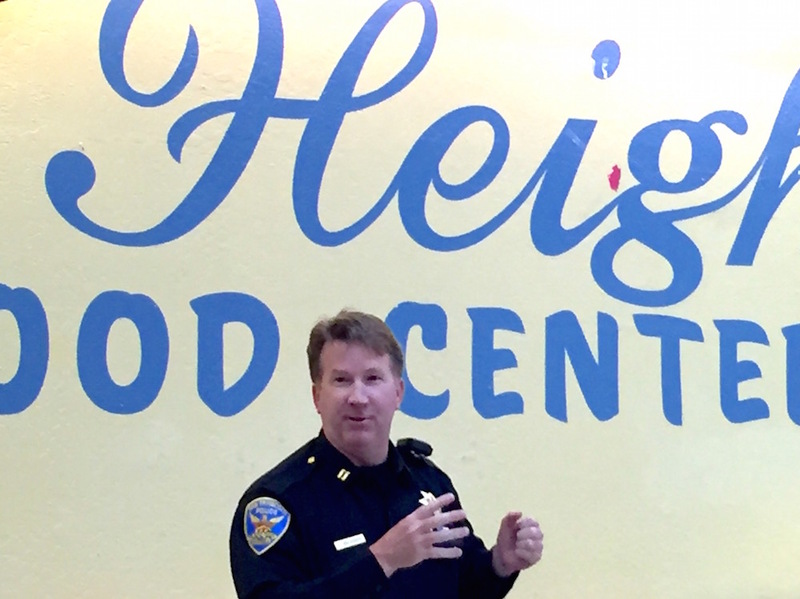 Following up on last week’s meeting with the Northeast Bernal Neighbor’s Alliance, and as part of an ongoing series of efforts to address crime and public safety concerns in Bernal Heights, Supervisor David Campos and the Bernal Heights Neighborhood Center are hosting a community meeting on Thursday, January 28 at 6 pm. Supervisor Campos and Hillary Ronen are holding a separate meeting this week to address broader Bernal safety. If you didn’t make it to last week’s meeting, would like to continue the discussion with the other city agencies noted there, or don’t live in NE Bernal, I think it’s worth showing up! Supervisor David Campos is hosting a meeting to discuss the rampant car break-ins in Bernal Heights. Captain McFadden will present on how the community can work together to guard against and effectively report these crimes. Representatives from the Department of Public Works and the Public Utilities Commission will be there to discuss areas where additional street light is needed in the neighborhood. A representative from the District Attorney’s Office will be there to explain the office’s work to address this problem. Supervisor Campos would like to hear resident ideas to address the problem and will propose a plan to start addressing the issue. Feel free to contact Hillary Ronen, from Supervisor Campos’ Office, with any questions or comments prior to the meeting. Hillary.ronen@sfgov.org; 415-554-7739. Could someone please ask the representative of the district attorney how many crimes we’re expected to suffer as a price for Gascon’s prop 47? Absolutely as that issue is repeatedly raised by both the community and SFPD. As someone who voted for Prop 47 I will ask the Supervisor to request an unbiased/objective study of the impacts of Prop 47/AB103 on crime in our community. Captain McFadden indicated that law enforcement is not able to collect certain types of DNA evidence with misdemeanors vs felonies. There may in fact be some State legislative initiatives to address some of the issues and short comings with the law. We absolutely need to ensure accountability for crime, as well as strong efforts at rehabilitation to reduce recidivism. The current system is not working when criminals know there are really no serious consequences for their actions. Looks like Captain McFadden doesn’t want to be in the middle of a political spat between the mayor and his chosen D9 candidate and Campos and his chosen D9 candidate, since he’s going to be at this neighborhood crime meeting, too. Smart move on his part! Was the mayor and his people invited? If not, why not? If they show up, will they be given the respect they deserve as reps of elected officials for the area? Maybe because you make fun of him on Twitter like a 13 year old and shout at him in public?